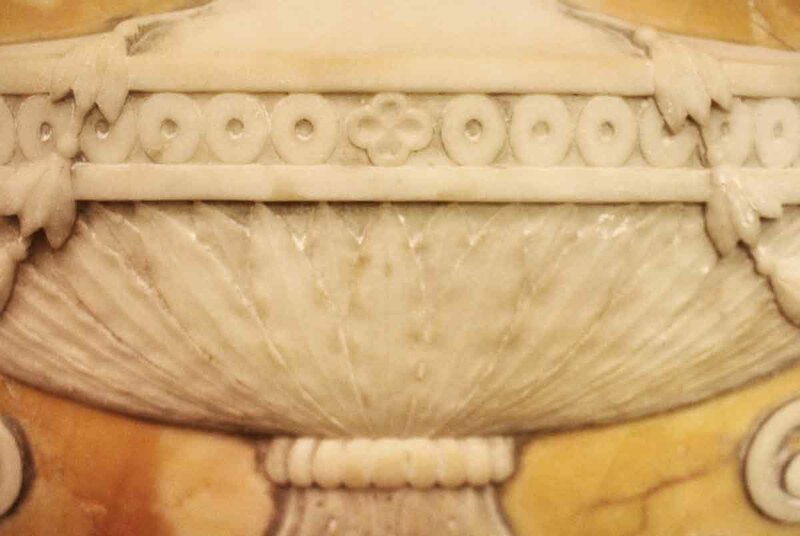 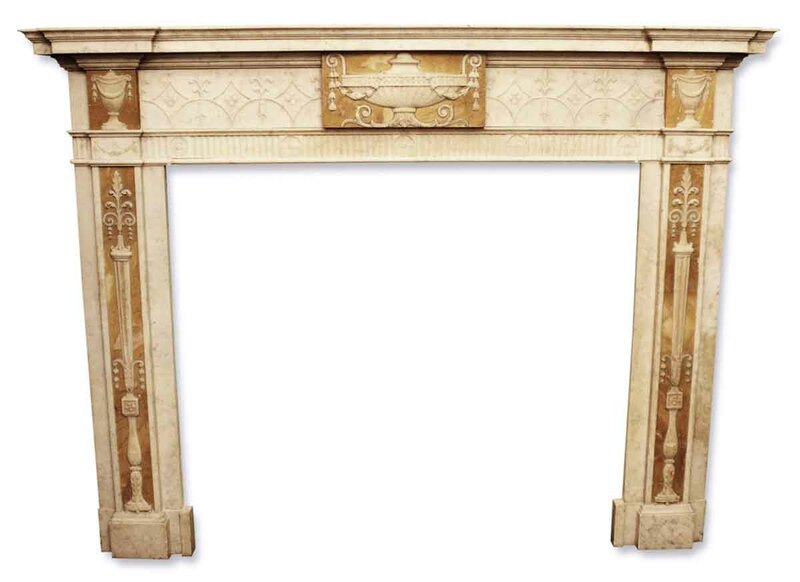 English mantel made of statuary marble with matching sienna marble side panels and a center plaque with very fine urn details. 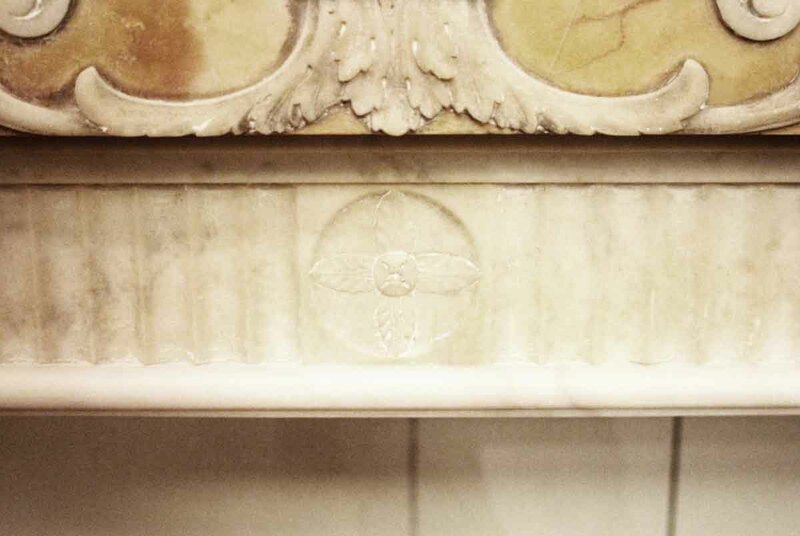 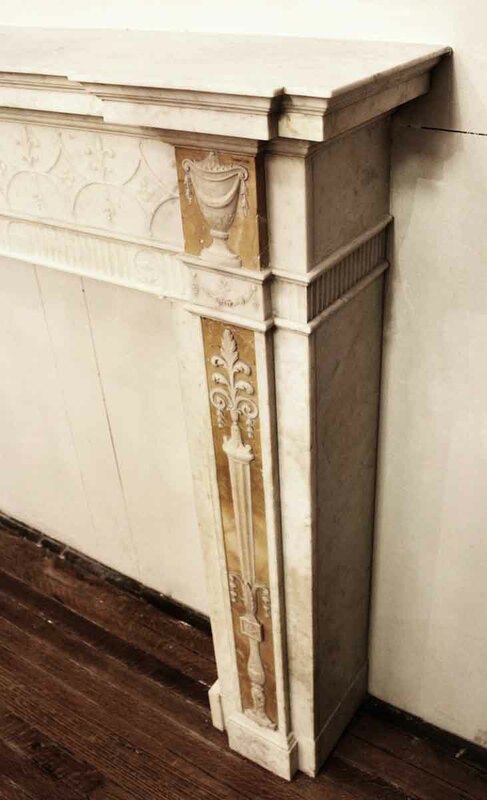 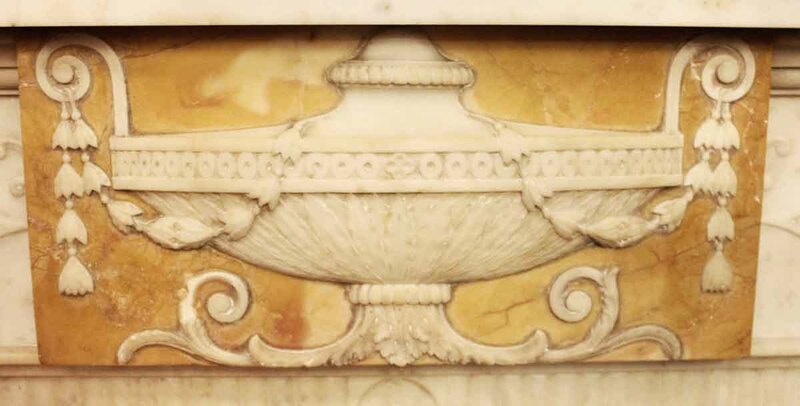 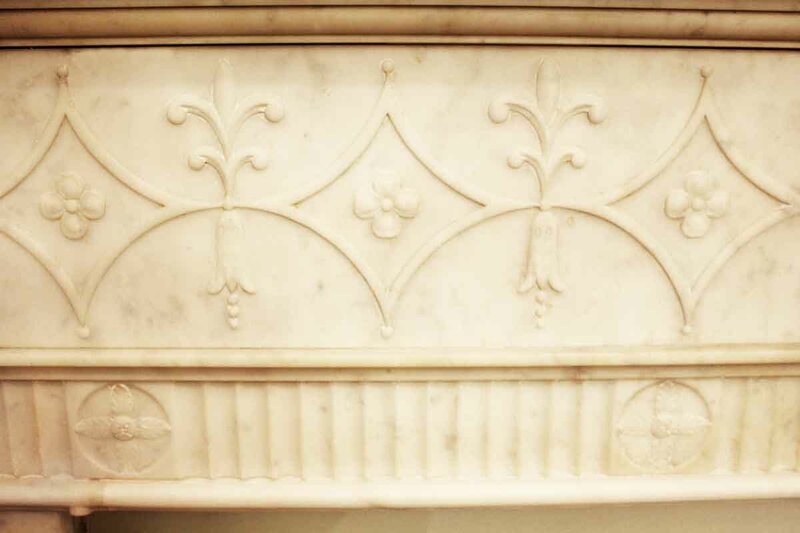 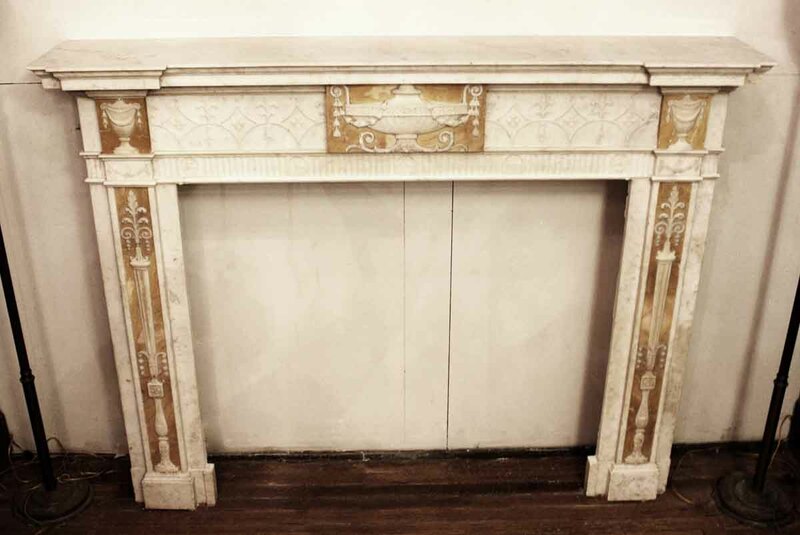 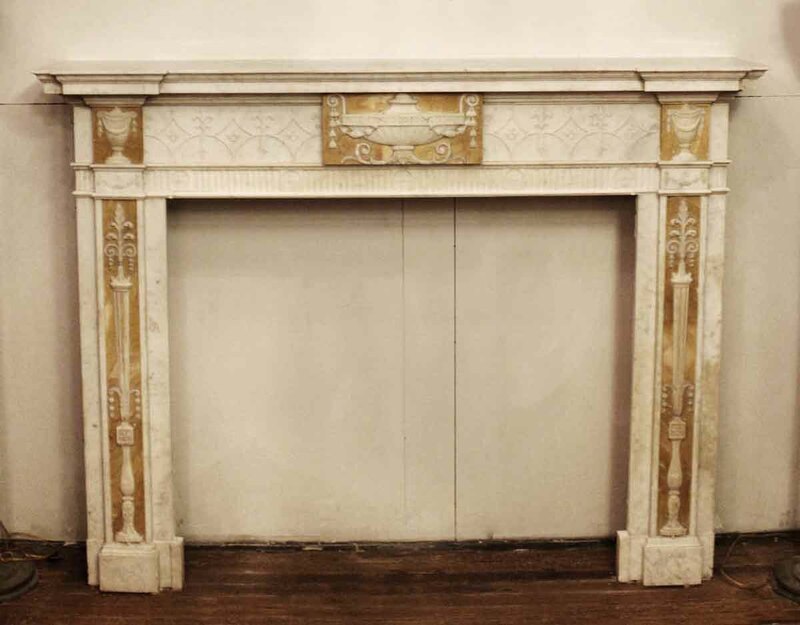 This mantel was salvaged from a prominent New York City east side townhouse. 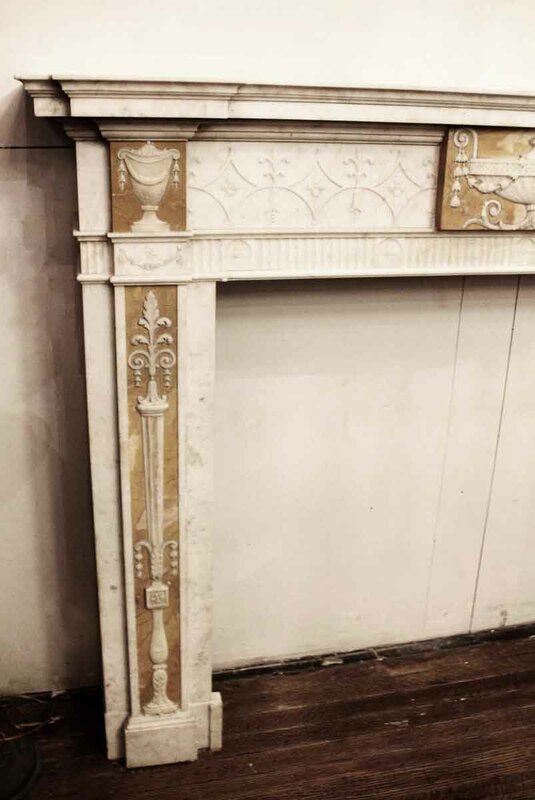 Olde Good Things carefully removed it and kept it in very good condition.